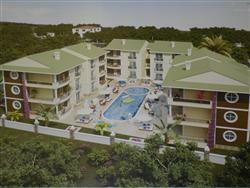 Spring is a luxury apartment complex with magnificent unobstructed views of the Dalaman Mountains. Surrounded by unspoilt countryside, the development is only 5 minutes to the Centre of Dalaman, with its lively restaurants, entertainment and shopping areas. Imagine a luxurious residential complex in a quiet rural location with stunning mountain views and peacefully pine forests. Imagine a place where you can unwind in natural surroundings, while enjoying fantastic leisure facilities and amenities. Imagine all this just a short drive from the beaches, restaurants, entertainment and golf courses. This landmark development has a total of 18 three bedroom apartments over an area of 2500 m2. Local planning regulations limit the building density to only 30%, leaving plenty of space for delightful gardens and communal areas. Spring has been created to provide a wealth of communal facilities and amenities, allowing you to enjoy your home as if it were a five-star luxury hotel. The fantastic ranges of site facilities include outdoor pool, kid’s pool, gym, children’s play area, etc. This villa is located in love beach just 500m to the beach. The villas have pvc windows, stylish kitchen with a beautiful marble work top, American panel doors, marble stairs with wrought iron banisters and fully fitted bathrooms with shower and cubicle. Ground floor consists of a living room leading onto an open planned kitchen, bathroom and a big terrace with BBQ. there is also another bathroom and toilet included outside. First floor consists of 2 bedrooms with 2 balconies and a bathroom. Second floor consists of 2 bedrooms 1 balcony and a bathroom. 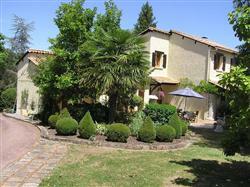 large 195 m2 living area, large terrace, private garden and car parking area. shared pool is available on complex, 24 hours security and a caretaker. Clover villas located on a unique green-field site with magnificent views of mountains. 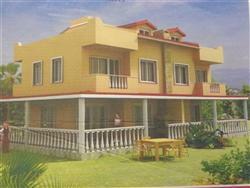 Clover villas consist of only 6 large 3 bedroom duplex detached villa. This brand new project is presenting the unique opportunity to buy your dream home in the sun in a small and private complex. Each villa consists of three spacious bedrooms and 2 bathrooms on the first floor. The ground floor has a open plan separate kitchen, WC, large dining area and lounge. Large ground and first floor terraces will be ideal to enjoy an evening meal while taking in beautiful views of surrounding area. 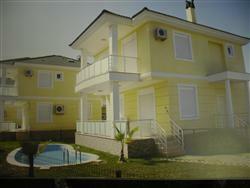 All villas have 25m2 private swimming pool and garden area. Villas are 10 minute drive to the excellent Sarigerme Beach which makes this complex an ideal retreat both for living and or rental investment. Attention to detail and beautiful interior finishing together with ample living space make these villas a very attractive option. Finished to high specification, the kitchens come with high glossy laminated cabinets, flooring with top quality edge ceramics and granite countertops. Bathroom walls and floors will also have top quality edge ceramics. Windows will be 1st quality double glazed Winsa Brand PVC and the front door will be of steel. Living room will be air conditioning ready with piping and cabling in place. Our after sales team will help you with furnishing your villa at no extra cost. Like all modern life built homes these properties have been carefully designed and will be finished up to very high standards with particular attention paid to detail. All materials used during construction are TSE (Turkish Standards Institute) registered, which is an equivalent of British and European standards. The properties come with 10 year structural guarantee. An architect designed 4 bedroom house built in a traditional style combining contemporary features in 2.5hectares on high ground with magnificent views near Saint Astier, Dordogne, SW France. Set back from the road in a tranquil location. The house is in impeccable order. Absolutely no expense has been spared. Craftsman built fixtures and fittings of exceptionally high quality are evident throughout. The kitchen in particular is very well equipped with top of the range built-in appliances,2 ovens, black granite work top etc. All bedrooms are very spacious, and indeed the entire property gives impressions of quality. space and light. There is more than adequate storage on the ground and 1st floors, while the lower ground floor includes a utility and drying room, a boiler room, double garage and work shop, wine cellar and tack room if required and separate storage for wood and straw. The house with covered terraces on 3 sides is complemented by the grounds. There is a modern(10 x 5m)salt water swimming pool with a powered cover, a large productive orchard and vegetable garden, a paddock and stable, a field and a magnificent garden with topiary, statuary and fountain. The property is secure for animals. Access is via remote controlled gates with a separate access for house boxes, tractors, mobile home etc. Local shopping is within minutes . Saint Astier has a lively weekly market, supermarkets, nursery, junior. senior schools and a college. It has football and rugby stadiums and a multimedia centre and theatre. Oak front door. Cathedral Ceiling. Craftsman built elm staircase leading to mezzanine and first floor. Split level. Oak beams. Stone fireplace with new wood burning insert. three sets of French windows to covered terraces. New craftsman built oak kitchen. Built in microwave and two electric ovens. Gas hob. Built in Bosch dishwasher and fridge/freezer. Black granite work top.Franke basins. Window over looking rear gardens and French windows to terrace and built in BBQ. Newly refurbished with hydro cabin, toilet and wash basin. Craftsman built fitted oak wardrobes. Double aspect. French windows to terrace and gardens. French windows to terrace and gardens. Wall of fitted wardrobes. Velux and traditional window with views of gardens. Newly refurbished this year with P-shaped bath with shower fitting,toilet and basin..
Accessed by stairs from entrance hall. double sink unit, Bosch washing machine. Freezers, automatic water softener. Housing a newly installed BUDERUS condensing boiler .House is heated with oil fired central heating.